Two of Egypt's most beautiful tombs have been off-limits for years. The wall decorations in the tombs of Ramesses II's father, Seti I, and first Great Royal Wife, Nefertari, are simply stunning—and incredibly fragile. For their protection the tombs have been sealed for all but scholars and the most privileged or well-connected visitors. In the past both Seti's tomb (KV 17) in the Valley of the Kings and Nefertari's tomb (QV 66) in the Valley of the Queens in Luxor have permitted only the occasional tourists paying thousands of dollars for 10 minutes inside, breathing, as author Michelle Moran calls it, "the most expensive air in the world". But she goes on to say, "We paid the outrageous price, and I have never forgotten the experience." Now, as a further incentive to boost tourist numbers, the tombs are opening up and the price is coming down. To minimise the risk of the tombs being loved to death, visitor numbers will be limited to around 150 people a day. And the cost, while much cheaper than the old price for a private viewing, will also be a deterrent for some; tickets will cost EGP 1,000, which is around GBP £78 or US $113. Why the daily quotas and pricey tickets? Each visitor to a tomb brings with them an agent that is deadly to precarious tomb decorations—moisture. As people come and go, the temperature and humidity levels change, making the plaster on the walls expand and contract. As a result, the fragile, decorated plaster can flake away from the rock face. Sometimes tombs can be too beautiful for their own good. It's expected that the tombs will be open from the start of October, which is the beginning of Egypt's tourist season. Pictured is the beautifully decorated burial chamber in Nefertari's tomb. The queen's sarcophagus (now long gone) was placed between the four pillars shown. The east face of the closest pillar shows the goddess Isis extending the ankh to the nose of Nefertari, giving her the breath of life. The figures of Osiris behind face south towards the tomb entrance, and thus display Osiris looking from the west, welcoming Nefertari into the afterlife. The burial chamber walls are decorated with chapters from the Book of the Dead. Love Ancient Egypt? 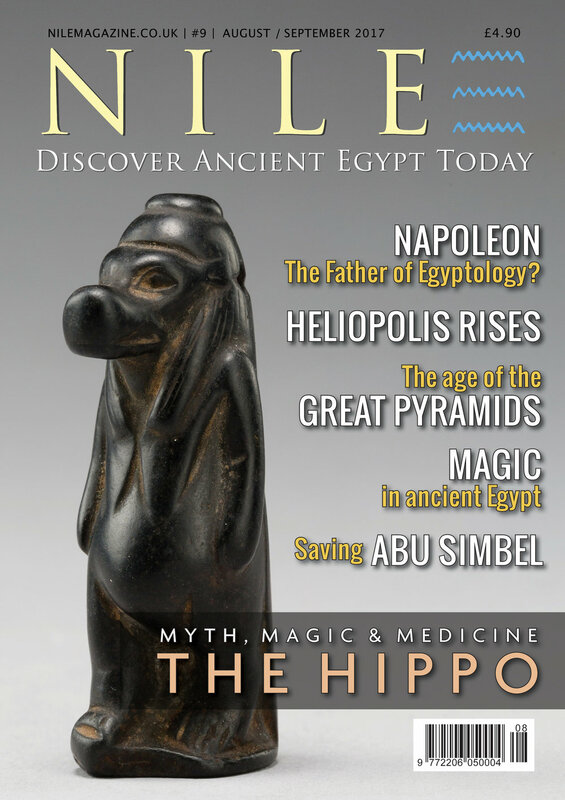 Nile Magazine is on sale at WHSmith stores across the U.K. and via subscription everywhere else. Click here to subscribe or find the WHSmith nearest you: www.nilemagazine.com.au/buy-subscribe.